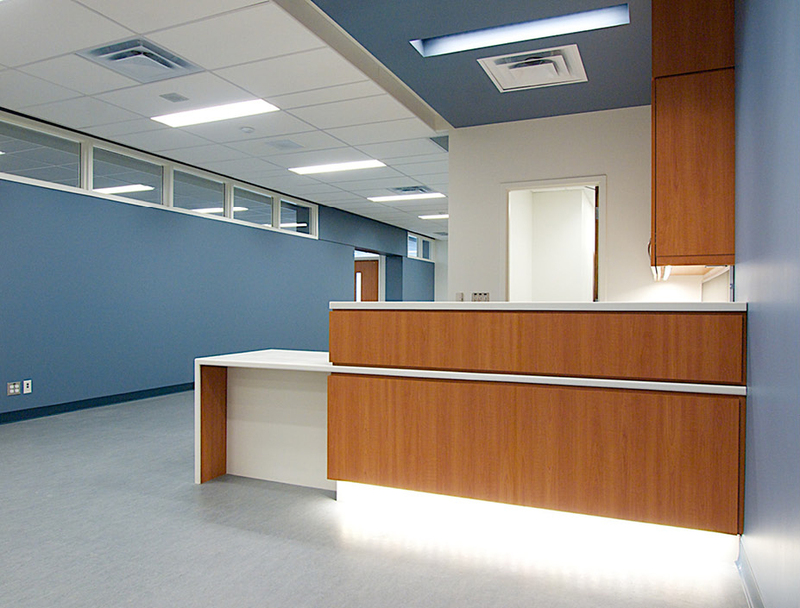 Mackenzie Health - Strasman Architects Inc. 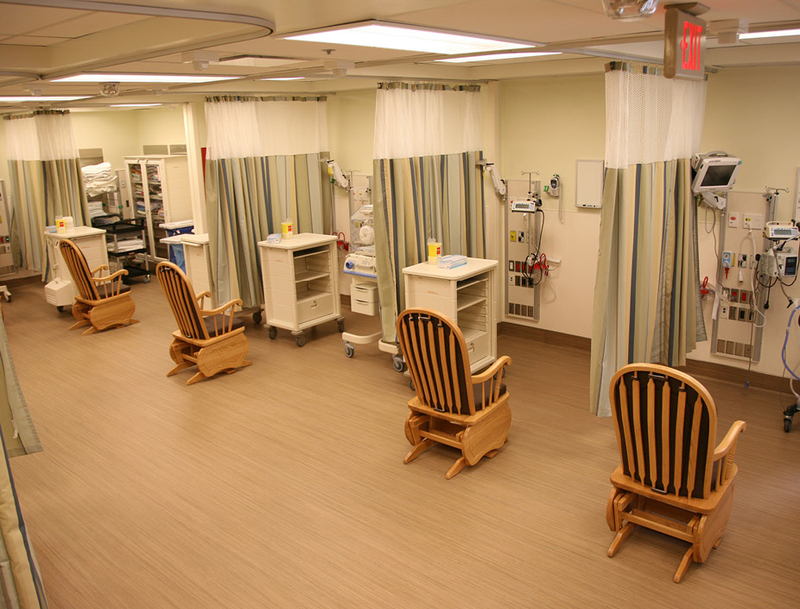 Through numerous user consultation meetings, a detailed design was developed that achieved an efficient workflow by maintaining maximum flexibility for staff circulation and patient prep. 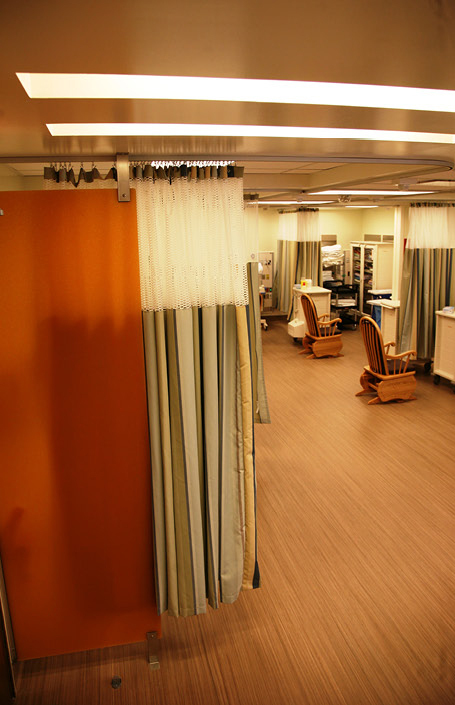 Automatic sliding doors were incorporated into the suite to minimize required floor space and to permit the zone security for access to the magnet. 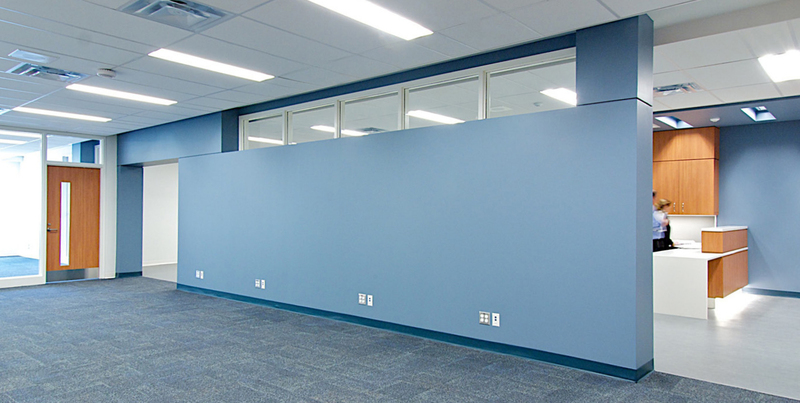 This allowed for incorporation of an interview prep room, patient holding and change area as well as a barrier free washroom to be incorporated into the available area. 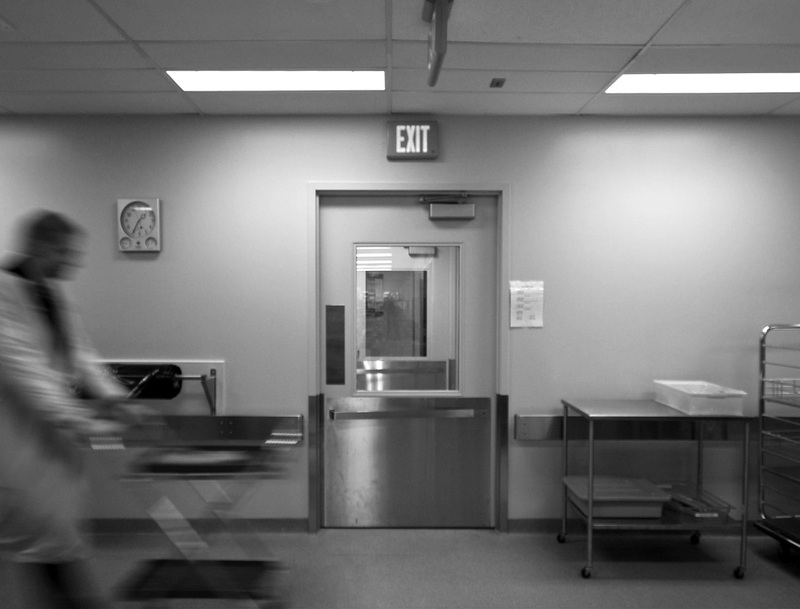 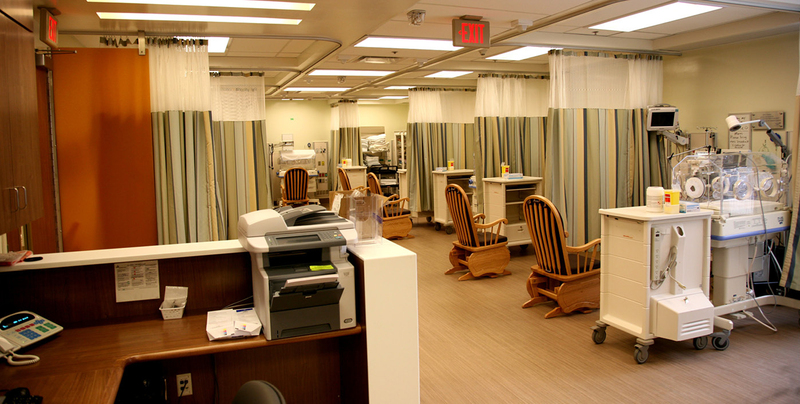 Renovations to a former ICU area to accommodate administrative functions including public business office transactions. 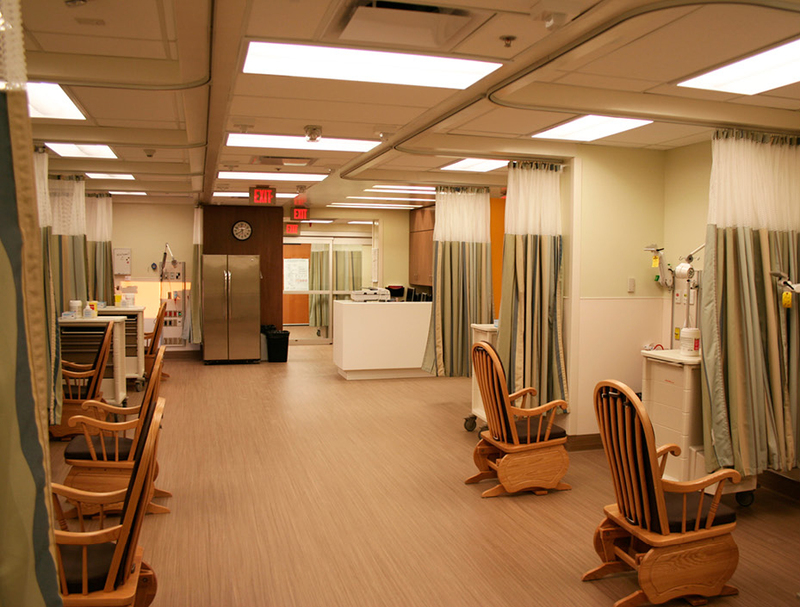 A re-configuration of the existing ward was proposed to facilitate a new nursery to effectively meet the present and short term future case loads in an efficient manner that still provides a calming and enhancing environment for the parents and the staff alike. 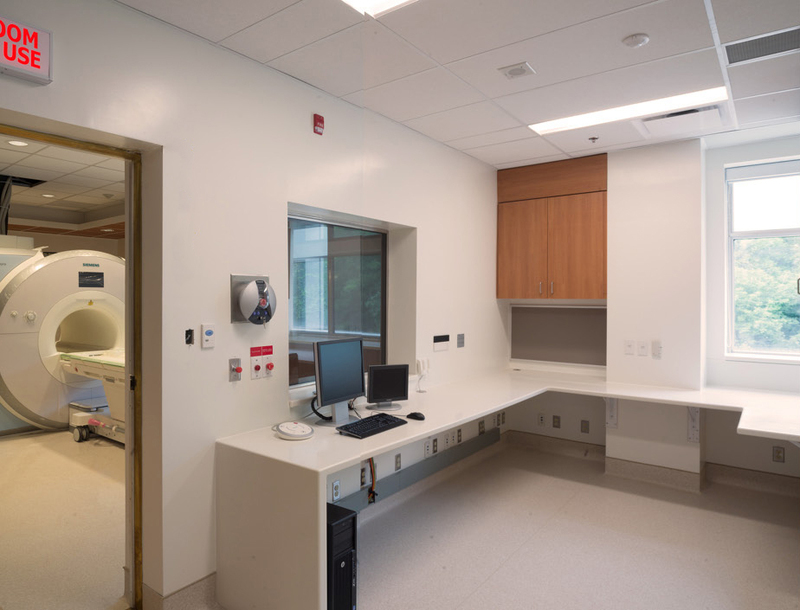 To achieve efficient workflow, the design solution involves incorporating the team station, charting, med prep room and reception into a consolidated zone adjacent to the existing resuscitation area. 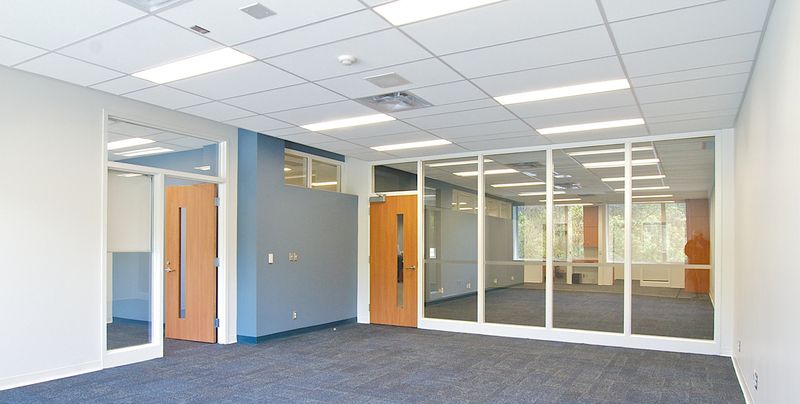 An 1,200 sq.ft. 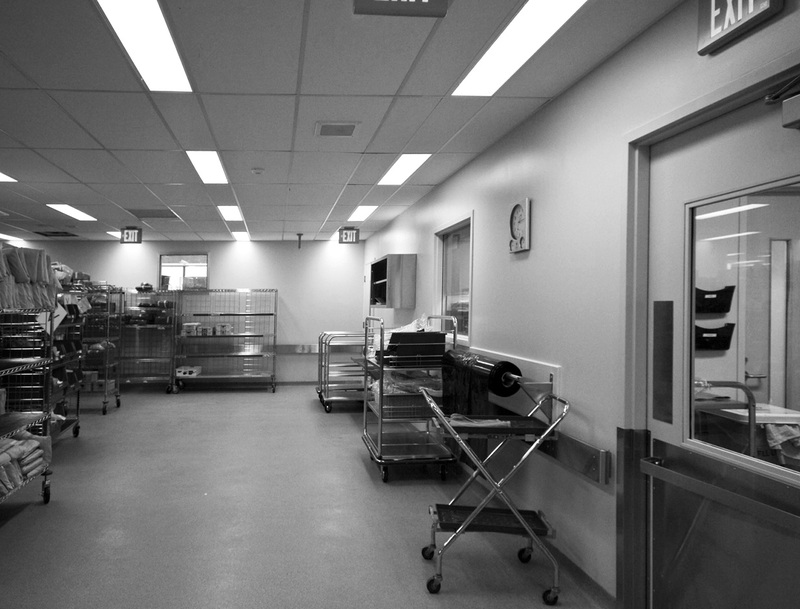 expansion to the existing Central Processing Department to accommodate full materials reprocessing services for the Hospital facility, including new manager and supervisor offices as well as implementing full infection control standards. 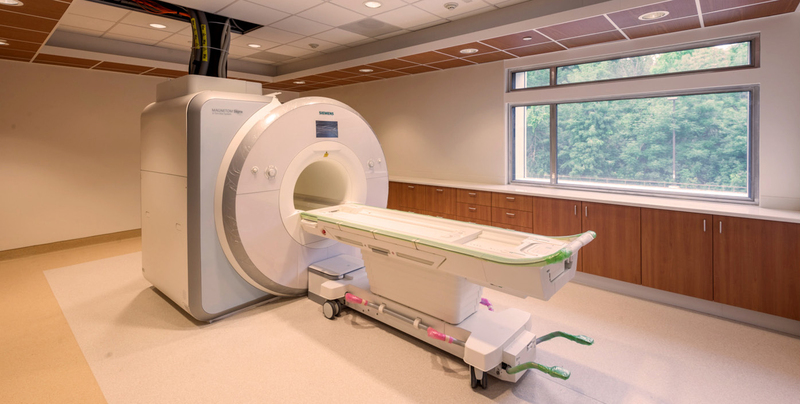 The Data Centre project involved the installation and tie-in of a new stand alone Modular Data Centre to house the full IT infrastructure for the Hospital. 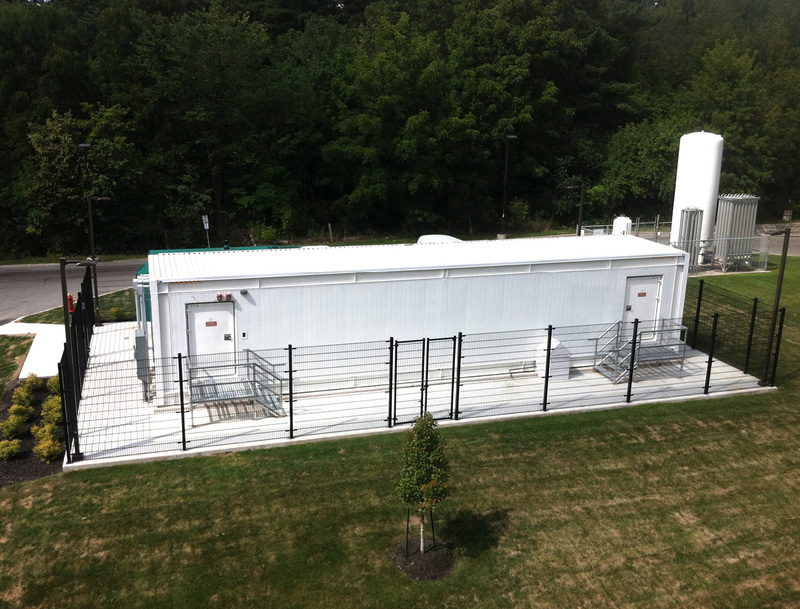 The site design incorporated a dedicated chiller and emergency generator for the modular unit. 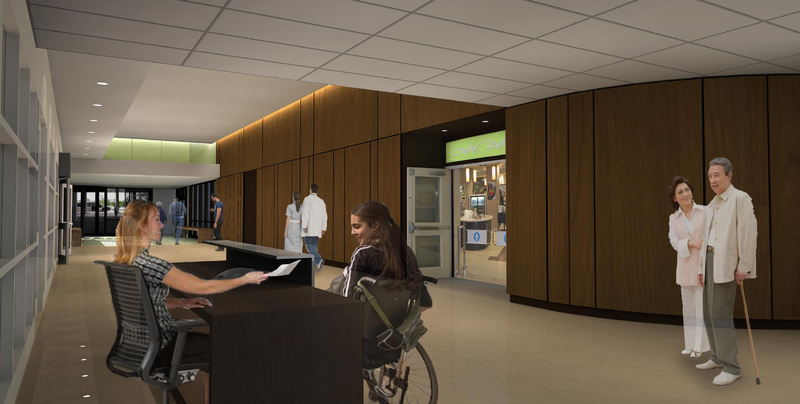 The project mandate was to retrofit the existing main entrance to accommodate a new lobby with improved retail potential, a welcoming aesthetic, efficient visitor and patient circulation and clear wayfinding strategies.